Learn how to sew baby shoes for your little one, or make them as the perfect addition to a baby shower gift – Ashey Hough shows you how. To learn how to sew baby shoes you will need the pattern pieces, which comes in three different sizes- 0-3 month, 3-6 month and 6-9 month, and small amounts of flannel, felt or other soft fabric. 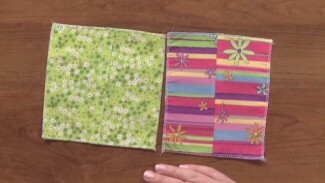 Ashley explains what the different pattern sizes are and how to choose which one to make. She then shows how to cut out the pattern pieces and begin to assemble the shoes. There are two different ways to construct the shoes in this tutorial on how to sew baby shoes- one with raw edges exposed and one with raw edges finished. Ashley first shows how to sew the baby shoes with the raw edges exposed. Once the pieces are stitched together the edges are cut using pinking shears to give them an extra decorative touch. Ashley shows how to stitch the pieces together that make up the top of the shoe and then shows how to attach that to the sole and add the small tongue piece. 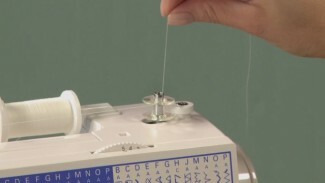 She then shows the assembly process again, showing how to sew baby shoes that have no raw edges exposed. 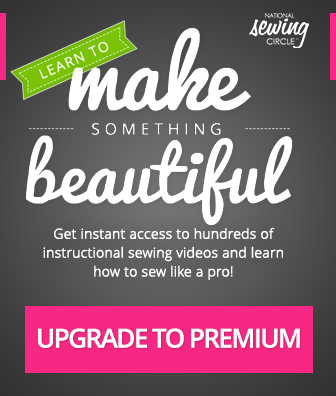 This method requires a bit more hand sewing than the other. Ashley also explains how to account for a larger seam allowance if assembling the shoes this way. Once they are constructed, Ashley gives tips on how to help make the shoes fit tighter by adding laces, elastic or other extra closure methods across the tongue of the shoe. While learning how to make baby shoes makes a great gift idea on their own, check out more project ideas and see other easy project to sew for babies, like bibs, blankets, leggins and more. 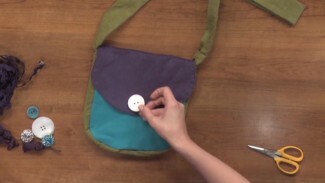 Ellen March talks about a super easy and fun purse that you can make in thirty minutes. Pick out your favorite fabrics and decide how big you want your purse to be, and then follow along as Ellen shows you how to put the bag together.